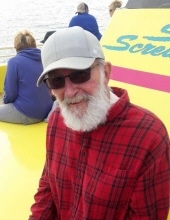 Daniel E. Hall was born April 22, 1948 in Gallipolis, Ohio to the late William Monroe and Lillian (nee Daniels) Hall, and passed away April 6, 2019 at the age of 70. In addition to his parents, Daniel was preceded in death by his sister, Francie Unroe. Daniel is survived by his beloved wife of 51 years, Kathy A. (nee Callicoat) Hall; children, Lisa Hall and Jason (Missy) Hall; grandchildren, Jessa Hall-Helton, Marissa and Matthew Hall; great-grandchild, Aiden Ott; and his siblings, Sherry Rankin, Kay Woodall, Brenda Myers, and Bill Hall. Daniel was a retired Lock and Dam Operator with the U.S. Army Corps of Engineers, an Army Vietnam veteran and a resident of Bethel. Visitation 5:00 PM until 7:00 PM, Wednesday, April 10, 2019, at E.C. Nurre Funeral Home, 315 W. Plane St., Bethel. Funeral service 11:00 AM Thursday, April 11, 2019, also at the funeral home. Burial Felicity Cemetery, Felicity, Ohio with military honors. "Email Address" would like to share the life celebration of Daniel Edward Hall. Click on the "link" to go to share a favorite memory or leave a condolence message for the family.